Last year, on August 12, Chairperson of ward number two of Bishnu Rural Municipality of Sarlahi district slapped Ajay Ram for touching a bottle of water. Ram reported the incident to police, but they refused to register First Information Report (FIR). The police advised him to negotiate and settle the case outside the formal justice system. He also reported the case to the District Administration Office. Here, too, he was ignored. 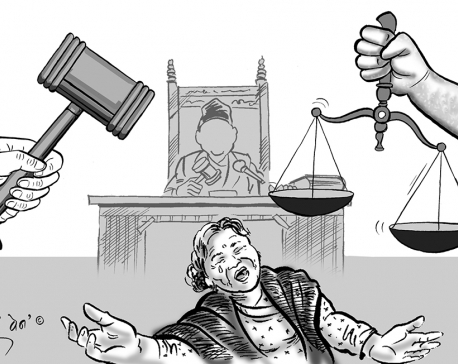 Countless incidents like the above, which occur across the country even after the promulgation of the new constitution and election of local government, tell us that something is missing in our justice system. A special unit for investigation and implementation of anti-discrimination and anti-hate crime laws is therefore necessary. The case of Ajay Ram shows why the current system needs to add a special unit responsible for translating laws of justice into practice. ‘Ram’ is considered an “untouchable” as well as “lower” caste in Nepal. Many “higher” caste people, who believe in this tradition do not eat and drink anything touched by them despite the legal ban. The “higher” caste chairperson could not accept it when Ram lifted the water-bottle from his desk and drank water out of it. He humiliated Ram as an “untouchable” and threw him out of the office. The case was filed in the court after three months. Human Rights activists, journalists, and National Dalit Commission put pressure on the police to register the FIR and file the case in the court. However, one of the support staff members in the office was forced to take responsibility to save public image of the chairperson and to exempt him from criminal liability. As a result, the support staff is now under trial of allegations of this crime in Sarlahi District Court. This is not an isolated case. Last year, the police refused to register the complaint from Sukma Sunar, a resident of Ward number three of Mahabu Rural Municipality of Dailekh district. High castes physically assaulted her for touching the water tanker. Such incidents occur frequently in rural Nepal, but they rarely become news and legal case although the Caste-Based Discrimination and Untouchability (Offense and Punishment) Act 2011 consider these practices a crime against the state. Many reports have pointed out that the police hardly register and investigate the cases of caste-based discrimination. Nepal’s Dalit Civil Society presented the Alternative Report to the UN Committee in February 2018. The report states that the police registered a very few cases in the period between 2007 and 2017. It filed only seven cases in the court in 2007, and this number reached twenty in 2017 despite widespread incidents of discrimination across the country. 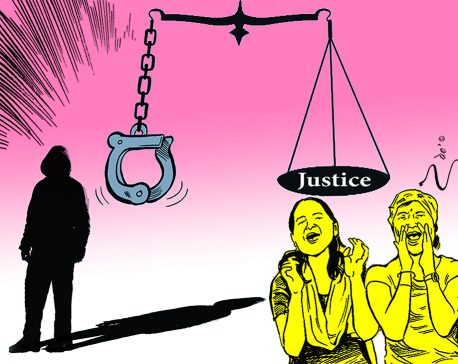 Passing laws alone is not sufficient to provide justice to the survivors of crimes of caste-based discrimination that has embedded in our daily lives. 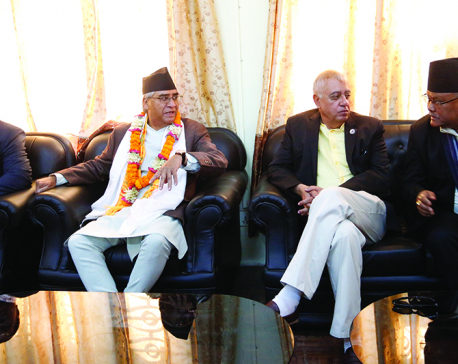 Understanding reason behind the gross negligence by Nepal’s law enforcement agencies is important. Implementation of any law operates in a given social and political environment that retains interests of various social groups. Majority of Nepali society considers the unequal status of Dalit their fate, which is a result of their sin in the previous birth. The law enforcement agency, including the police, while it is not itself devoid of such mindset, performs its duty under the pressure of this social interest. The Office of High Commissioner of Human Rights (OHCHR)’s 2011 report states that the police deem the practice of caste-based discrimination and untouchability as the social dispute that can be settled through negotiation within the community. The same report records that the police consider registering the cases as criminal offense would affect the “social harmony”. This is nothing new. We can hear such narrative from every other person around us. The crimes of caste-based discrimination also take place in an unequal power-relation between survivor and perpetrator. In these cases, the survivor always belongs to the weaker section of society as opposed to strong social networks of the perpetrator. The perpetrator often mobilizes its social networks to tamper evidence and silence witnesses. The power of social influence of perpetrator makes it very tough for the police to register an FIR independently as and when they receive complaints from Dalit. 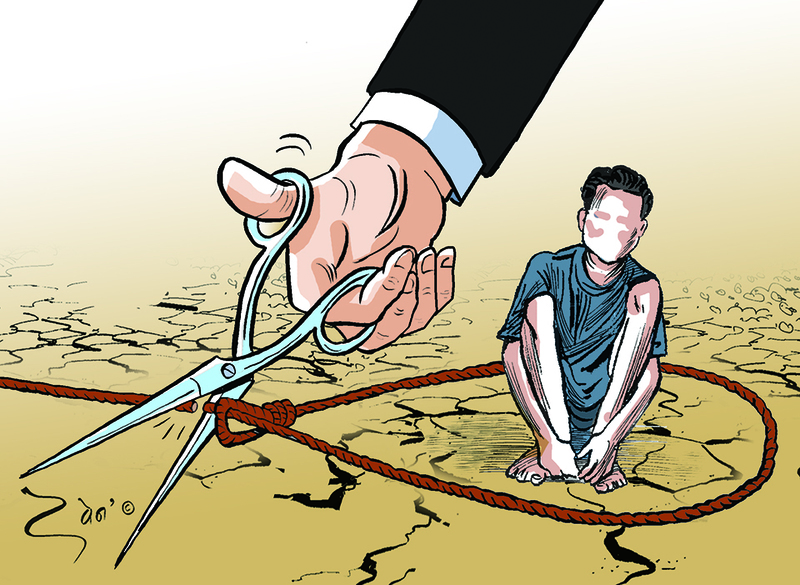 The general mindset that justice to Dalits involves a cost of social harmony is misleading. The caste-based discrimination violates the human rights principle that all men and women are equal. Tolerance of any violence can provide a leeway for eruption of other forms of violence. For example, the tolerance of physical assault against Ram and Sunar can drive these societies to communal tension and clashes. Therefore, obstructing delivery of justice is not healthy for society that fears disruption in social harmony. Justice is a critical component of peace in society, and denying justice shakes people’s faith in the rule of law. It impoverishes society and reinforces inequality. Overall, the culture of impunity is a threat to a healthy society. If the existing system is not enough, the government should introduce new policies and measures to deliver justice to Dalits. Among the possible measures, establishing a special unit in police office at local government levels for the investigation of caste-based discrimination can be a viable option. Dalit activist lawyers have been demanding for a similar special investigation unit in the police offices for proper management of caste-based crimes. They argue that handling these cases requires special skills and sensitivity, for which the police officers hardly get dedicated training and specialization. Such special unit can comprise of activists and different law enforcement agencies after wider consultation with concerned stakeholders. The concept of establishing a separate investigation unit to enhance the access to justice is not new at all. There is a special unit for investigation and prosecution of crimes against women and children. The Women and Children Service Centers have been established across the country in 243 units with a vision to ensure widely available, fair and specialized services for women and children. While their services must be improved as they go along, these centers have proved successful as entry points to provide justice to women and children. Similar units can be established to handle cases of caste-based crimes with urgency and priority.